In general there are two main types of regimes depending of presence or lack of an agreement for visa free regime between their state and EU. United States of America, Australia, Albania, Andorra, Argentina, Bosnia and Herzegovina, Brazil, Venezuela, Guatemala, Israel, Canada, Hong Kong, South Korea, Costa Rica, Macedonia, Malta, Malaysia, Mexico, Moldova, New Zealand, Singapore, Serbia, Japan and so on. In the second one visitors from countries that doesn’t have an agreement for visa free regime should hold in any case entry visa. In this post I will provide you with information for the third option, namely – to obtain residency permit in Bulgaria acting as a representative of a foreign entity. This possibility is regulated by Law on Foreigners and Investment Encouragement Law. 1. Registration of Trade Representative Office of foreign entity at Bulgarian Chambers & Commerce. According to the Investment Encouragement Law, the representative offices in Bulgaria is not a legal entity and can perform only non profit activities such as: identifying the market opportunities and making surveys regarding the business in the Bulgarian market, making travel arrangements for the potential clients to the head office or for the company’s representative in Bulgaria, make promotional campaigns in order to make the goals of the company known in the Bulgarian market, trying to find investment opportunities. A representative office cannot raise invoices for services or goods and also cannot be invoiced for procured services or goods. All transactions are considered done for the foreign entity. The representative offices cannot close deals in the name of the Trade Representative Office, but for foreign company and also cannot sign any contracts. A representative office may hire personnel and enter into agreements but cannot perform any activity that can be considered commercial otherwise it must be registered as a legal entity and enroll for the specific taxes. What documents are required for the setup of a Trade Representative Office in Bulgaria? – the certificate of registration of the foreign company, showing existence, ownership, representation and a person that represent it, current status (Certificate of Good Standing) of the foreign entity ( and issued no later than 6 months on it’s presence at BCCI). – proof that the Chamber of Commerce Industry’s fees were paid and the registration card for the information system of the Bulgarian Chamber of Commerce and Industry. Nota Bene: Only legal entity may apply for TRO (Trade Representative Office) and not sole proprietor as a business form. A legal entity is a legal construction through which the law allows a group of natural persons to act as if they were a single person for certain purposes. The most common purposes are lawsuits, property ownership, and contracts. 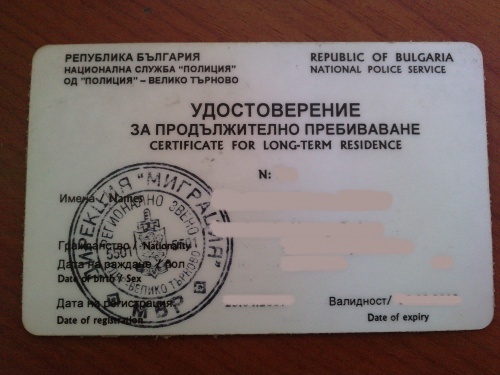 Nota Bene: All official documents that are issued outside Bulgaria should be accompanied with Apostille, (if the country of origin is a member of Apostille Convention – The Hague Convention Abolishing the Requirement for Legalisation for Foreign Public Documents) translated in Bulgaria and translation certified at Bulgarian Ministry of Foreign Affairs – consular relations. The whole procedure of registration doesn’t take longer than a week if all the documents are accurate and delivered on time. Once TRO is being registered applicant may proceed with the next step. The presence of visa D is an absolute prerequisite for obtaining a residence permit in Bulgaria. Visa D could be issued only in Bulgarian diplomatic missions by permanent address of the applicant. Application for Visa D should be submitted not early that 90 days from the planned traveling. Application is being reviewed in 45 days, following submission. Once a Visa D is granted the applicant may arrive in Bulgaria and apply for long-term residency permit. Visa D provides you with availability to entry multiply times in Bulgaria till it’s expiration. 3. Application for Long-term residency permit. Applications for Long-term residency permit should be submitted in front local migration office by registered address of applicant. Applications are reviewed within 15 days. As a result you will receive a certificate of granted Long-Term residency permit. It’s a subject of renewal annually. Please do not hesitate to get in contact with us for all other questions arising in your mind.